In 2015, Martin Resorts, a collection of California Coast hotels, began a restoration project along the coast of the Pacific Ocean in Pismo Beach. The work was divided into 12 individual site projects. These projects included the repair of bluff-top walkways, additional beach access, a pedestrian bridge, geological webbing to stabilize the bluffs, stabilization of deteriorating retaining walls, and a tied-back wall to stabilize the coastal bluff. The projects utilized specific materials that look like the natural coastline and improve the beauty of the area, while protecting valued coastal wildlife environments and nesting of endangered species. Since the beginning of the project in 2015, eleven of the twelve individual projects have been completed. They include the restoration of the bluffs near the south lawn at Shore Cliff Hotel, the restoration of the cliff area near the pool at Shore Cliff Hotel, the reinforcement of the trail area between Ventana Grill and Shore Cliff Hotel, and the restoration of the bluffs near the Inn at the Cove, and the reconstruction of the stairway down to the beach at The Inn at the Cove. Next on the schedule is the pedestrian bridge that will connect Shore Cliff Hotel and Pismo Lighthouse Suites. 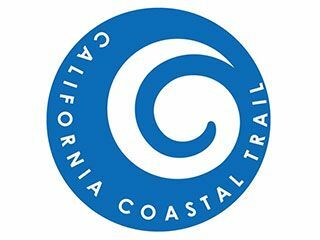 The California Coastal Trail ("The CCT") is one of the great trails of our nation. When completed, it will extend 1,200 miles from Oregon to Mexico. In 1972, Californians passed Proposition 20 recommending that a trails system be established along or near the coast. In 1999, the CCT was designated at the state and federal level as California's Millennium Legacy Trail, and in 2001 state legislation called for its completion. As of today, roughly half of the CCT is complete. The trail will benefit the citizens and tourists alike. Building community support for the trail is a central goal of the project. Upon completion, it will add and improve the safety of the California Coastal Trail. In addition, it will improve access to the beach and link the northern Pismo Beach area to the existing walkway behind Pismo Lighthouse Suites, Cottage Inn, and Sea Crest Hotel which then leads down stairs to the beach near the Pismo Pier. A local team is leading the project. The general contractor is JC Baldwin, Cannon Engineering is the structural engineer, Terra Costa is the civil/geotechnical engineer and the designer of the process that makes the cliffs beautiful. Walt Crampton is the engineer. Both Terra Costa and JC Baldwin have won numerous awards across the California Coastline for their bluff preservation and restoration construction. These firms' award winning experience and environmental mindedness combined with local engineers Cannon and Associates created a winning local team.